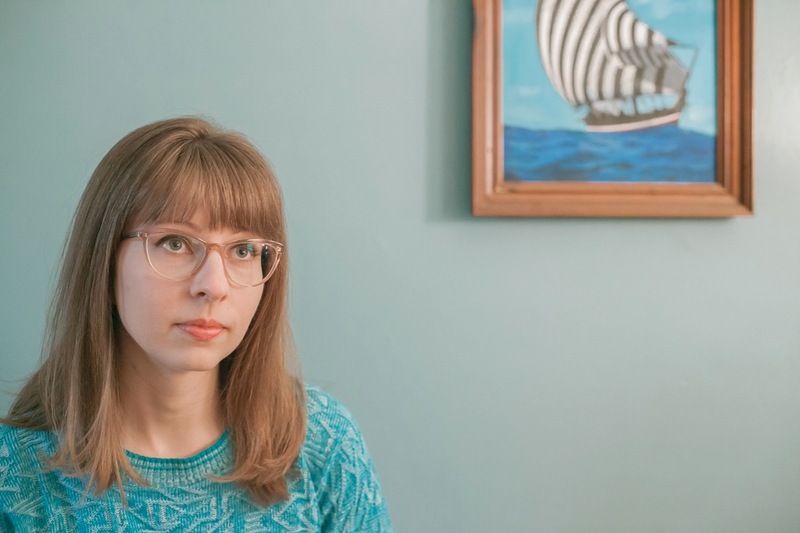 She Shreds Magazine interviewed Dear Nora's Katy Davidson & premiered "Simulation Feels," the third & final single from their forthcoming LP, Skulls Example (out May 25, 2018). Vinyl is in stock & shipping now, so order your copy now! 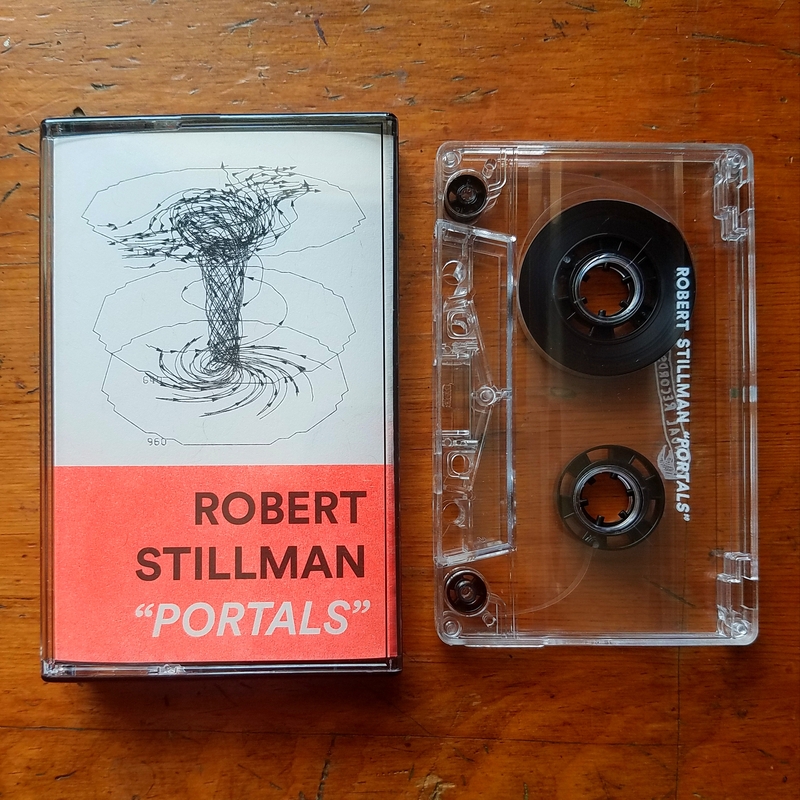 The third cassette edition of Portals by Robert Stillman is in stock & ready to ship! The new edition features a white ink imprint on the cassette. Order your copy HERE. "Song of the Mogwai" taken from the album Is It Really a Secret? out now on Orindal Records. Is It Really a Secret?, an 8-song mini-album of dreamy, Casio-driven bedroom pop by Durham, NC's Moon Racer, is available today on cassette & digital formats! Is It Really a Secret? 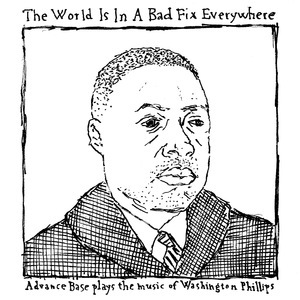 is an album with surprising depth. What on the surface appear nice little bedroom pop songs are actually documents of very real emotions... the sentimentality and earnestness on show here is not some brazen declaration, rather the colouring of an interior world that manifests as neurotic awkwardness. However whirlwind and volatile, the love is not one acted out with a Hollywood-style directness, instead the thoughts and feeling are repressed, played over internally so as to maintain face. This lack of communication is intrinsic to the nostalgia of the Moon Racer aesthetic, because it allows an imagination of what might have been—an iteration where interaction was easier, braver, more open, and the relationship everlasting. Order Is It Really a Secret? 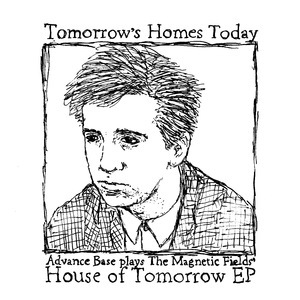 on cassette or download HERE. If you live in the Durham area, you can catch Moon Racer live at The Pinhook on Saturday, April 28! 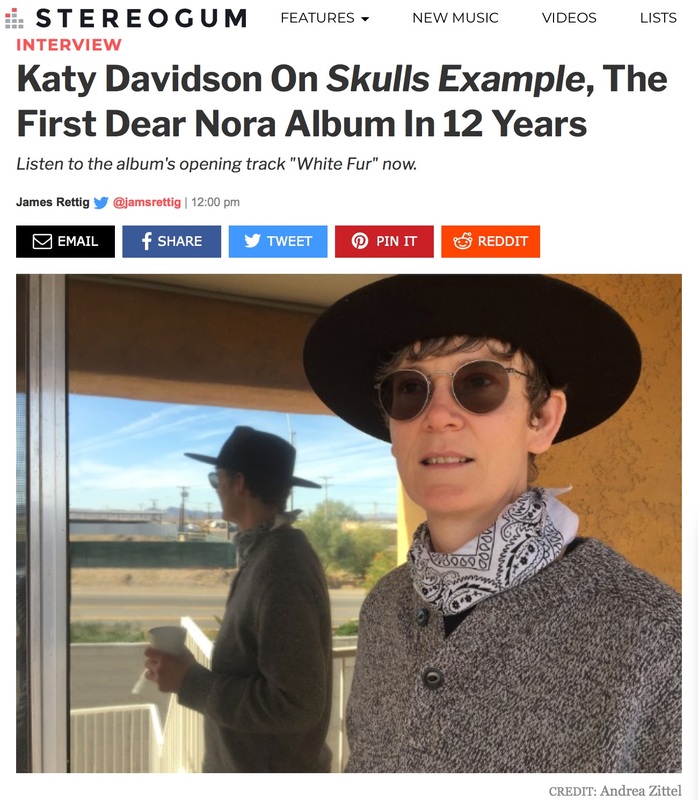 Dear Nora, the long time recording project of Katy Davidson (pronouns they/them), has shared "White Fur," the leadoff track from their upcoming Orindal LP, Skulls Example, their first album in over a decade. 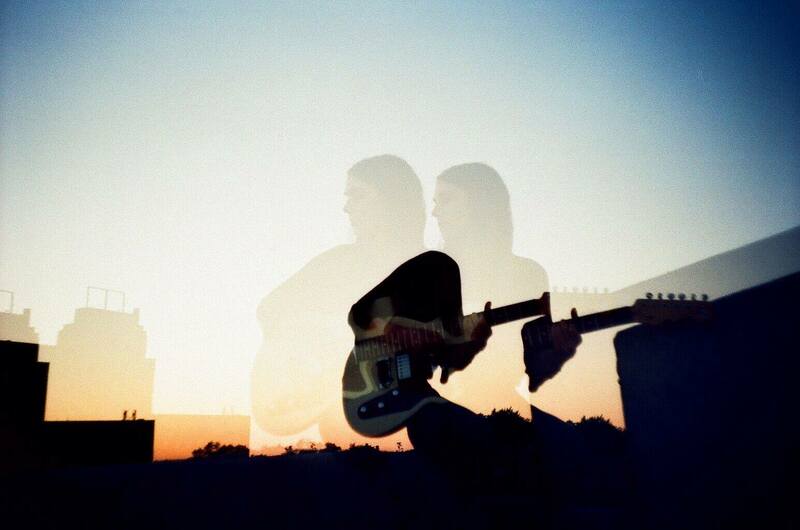 Stereogum premiered the track & interviewed Davidson today. Skulls Example is about the persistence of human connection, the way that humanity tends to persevere despite all the opportunities we now have to shut everything out... Davidson’s wry observations have a way of worming their way into your psyche. 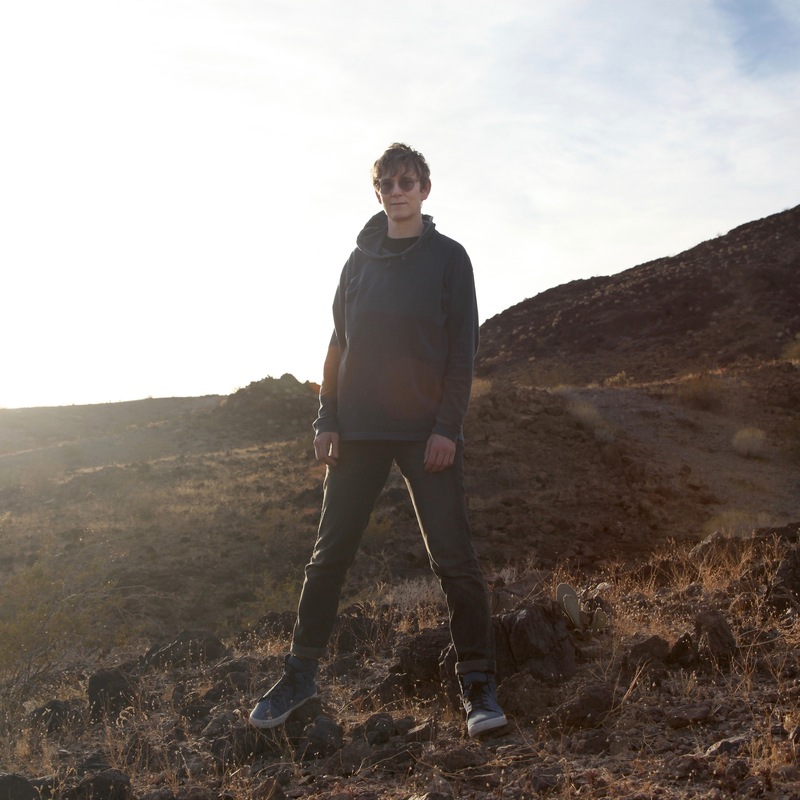 Like their landmark 2004 album, Mountain Rock, which was named Best New Reissue by Pitchfork last year, Skulls Example continues to explore Katy Davidson's fascination with the vast realms & intersections of wilderness, humanity, morality, technology, late capitalism, human connections & love during turbulent political times. Skulls Example won't be released until May 25, but vinyl pre-orders begin shipping next week. Order your copy on black, clear, or limited edition transparent blue swirl vinyl HERE. Additionally, Dear Nora has expanded their late spring tour to include some east coast shows. The tour includes dates with Nicholas Krgovich, Lisa/Liza, Stephen Steinbrink, Hand Habits & Harmony Tividad. You'll find more information on the TOUR DATES page. We're thrilled to announce that Chicago, IL singer/songwriter/producer Gia Margaret has joined the Orindal family! There's Always Glimmer, the self-produced debut album by Gia Margaret, won't be released until later this summer, but Gia will be selling special edition cassettes of the album on the road this spring, as she supports live dates for The Weepies. Get your tickets now! 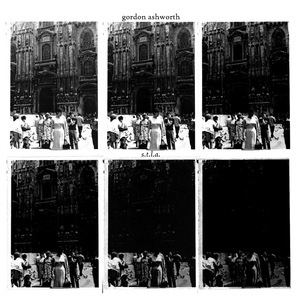 Led by soft drum-machine beats and waves of gentle keys, the track is gently captivating from the outset, the tender vocals which fade beautifully in to the elegant background, pertinently shaping the whole mood of the track, offering a sense of listless detachment that disappears just as you find yourself fully drawn in to its world. 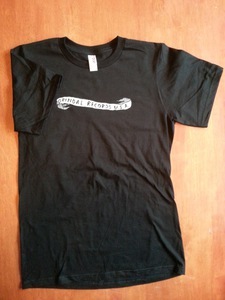 "Friendly Ghost" is exclusively streaming on the GoldFlakePaint site. Listen HERE. 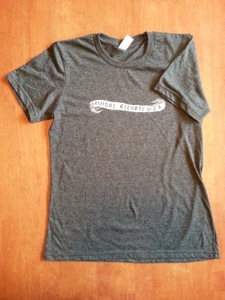 Pre-order Is It Really a Secret? 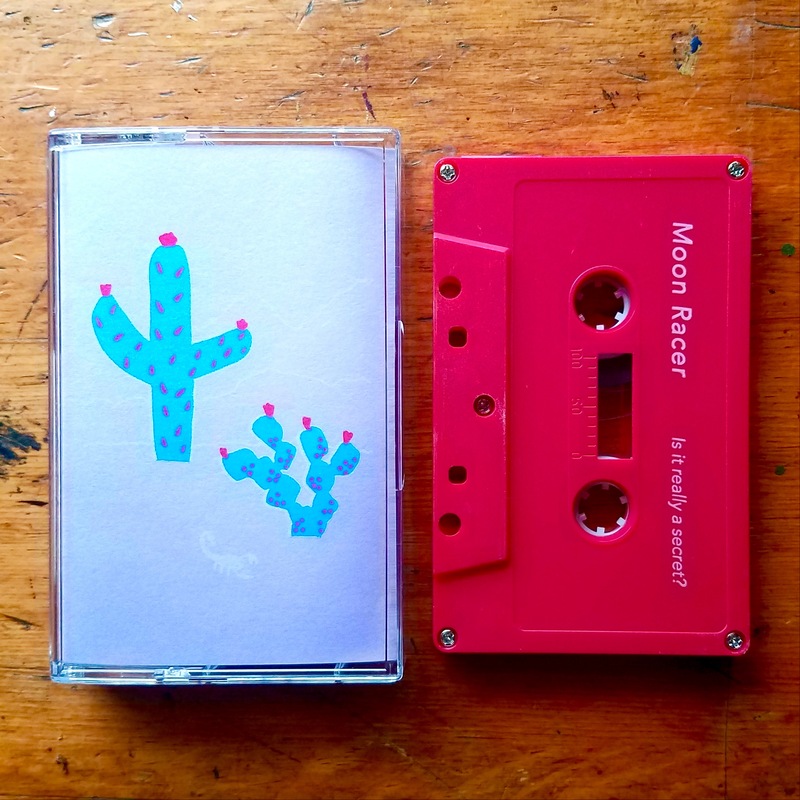 by Moon Racer on limited edition cassette or digital formats HERE. On April 20, 2018, Orindal Records will release Is It Really a Secret?, an 8-song mini-album by Durham, NC Casio enthusiast & bedroom pop auteur Moon Racer. 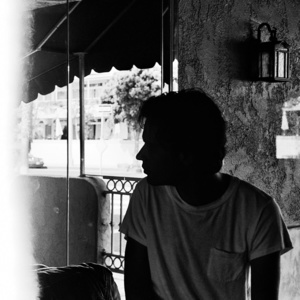 This afternoon, The Fader premiered "New Crush," the first single from Is It Really a Secret? You can listen here. "New Crush" is a dream-like exercise in mood and melody, a droopy-eyed blur of percussive loops, delicate vocals, and light tape hiss. 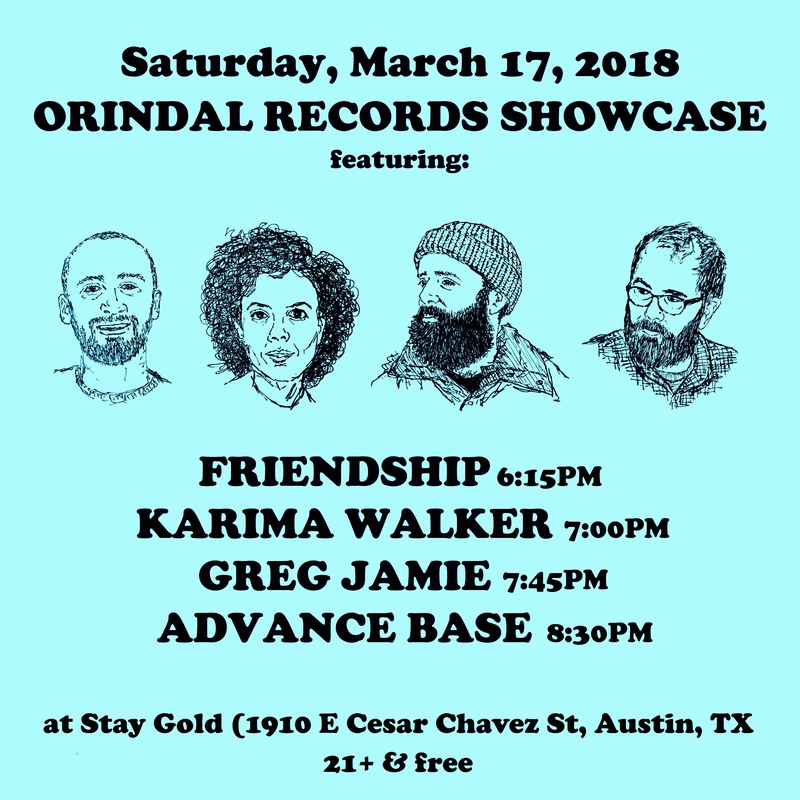 The lovelorn lyrics read like flash fiction: "Heard where you were, wrote the address down / dragged my friends with me across downtown / waited outside 'til we got freaked out." But they're mixed low and sung lazily, a reminder that narrative is just one gear in Moon Racer's hypnosis-inducing machine. 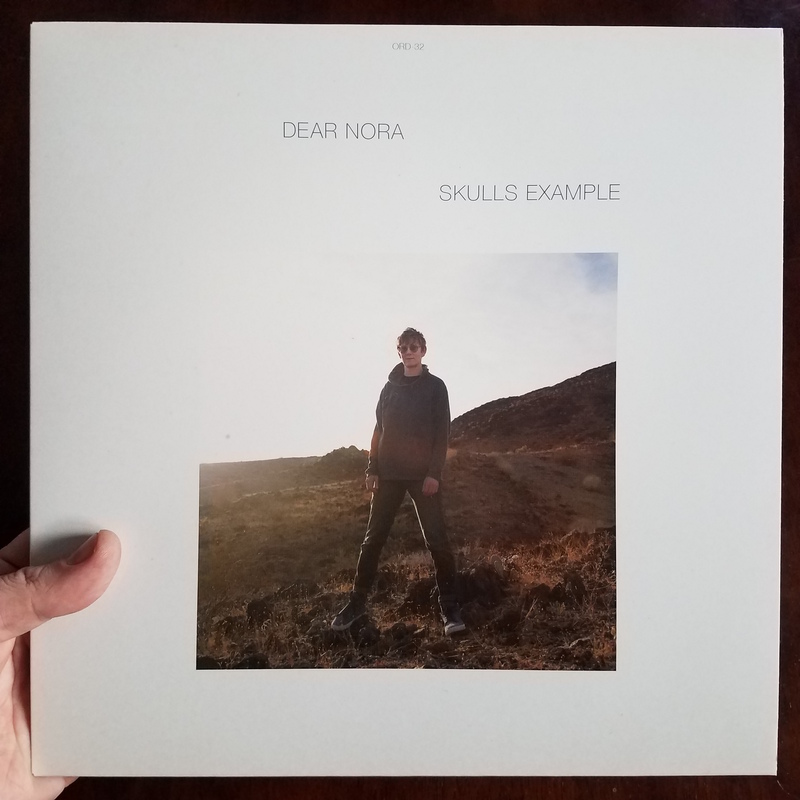 On May 25, Orindal Records will release Skulls Example, the first Dear Nora album in over a decade! 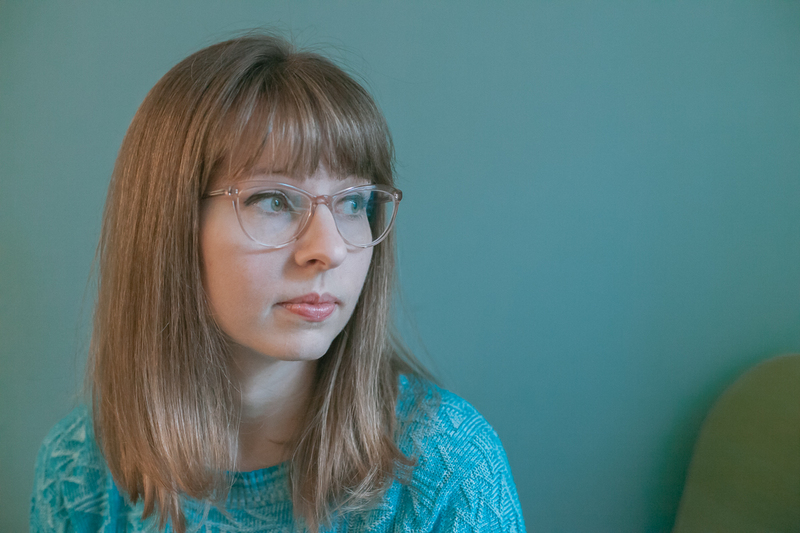 Listen to the first single, "Sunset on Humanity," & read an interview with Dear Nora's Katy Davidson right now on The Fader site. Pre-order Skulls Example by Dear Nora on limited edition blue swirl, clear, or black vinyl HERE. 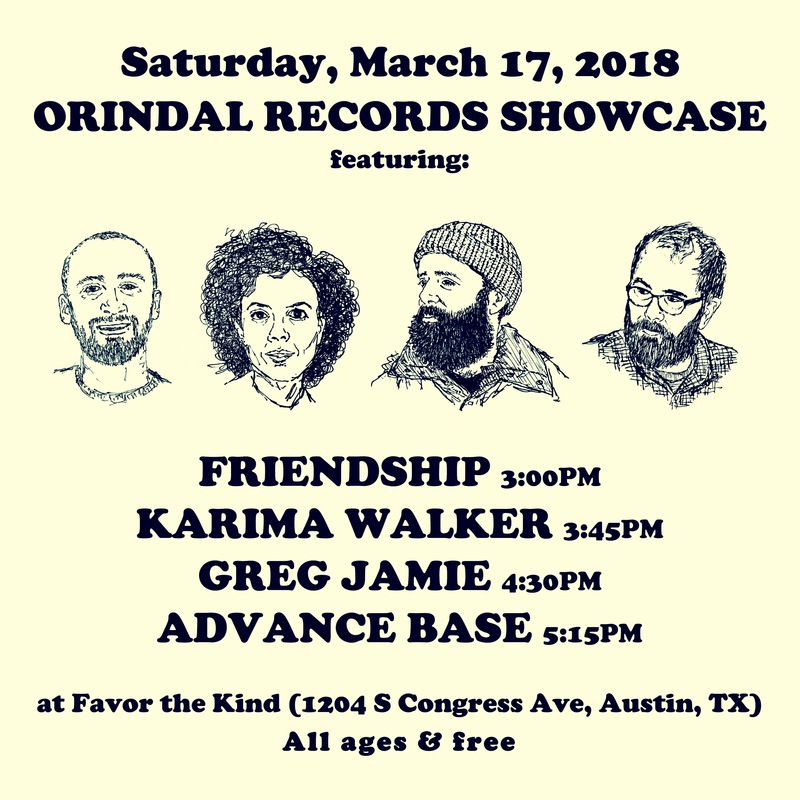 I'm happy to announce that Orindal Records will host TWO free label showcases on Saturday, March 17 in Austin, TX! 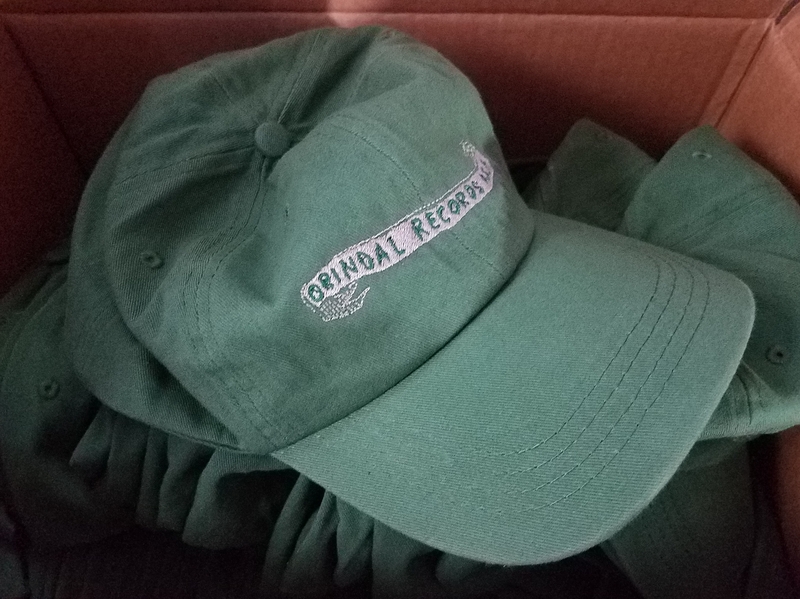 No physical orders will ship from the Orindal shop while Advance Base is on tour. All downloads will continue to be delivered immediately, & packages will ship upon my March 27 return.